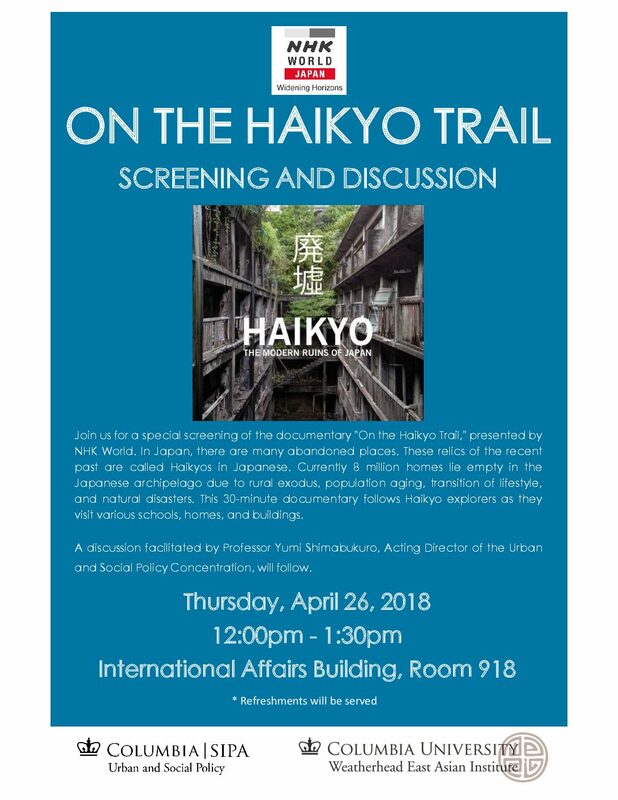 Join us for a special screening of the documentary “On the Haikyo Trail,” presented by NHK World. In Japan, there are many abandoned places. These relics of the recent past are called Haikyos in Japanese. Currently 8 million homes lie empty in the Japanese archipelago due to rural exodus, population aging, transition of lifestyle, and natural disasters. This 30-minute documentary follows Haikyo explorers as they visit various schools, homes, and buildings. A discussion facilitated by Professor Yumi Shimabukuro, Acting Director of the Urban and Social Policy Concentration, will follow.